Costa Rica, a diverse land, has a tremendous number of plants and wildlife in a compact space. The lush land of Costa Rica has more than 1,300 species of orchids and is know the world over for its astonishing flowers. 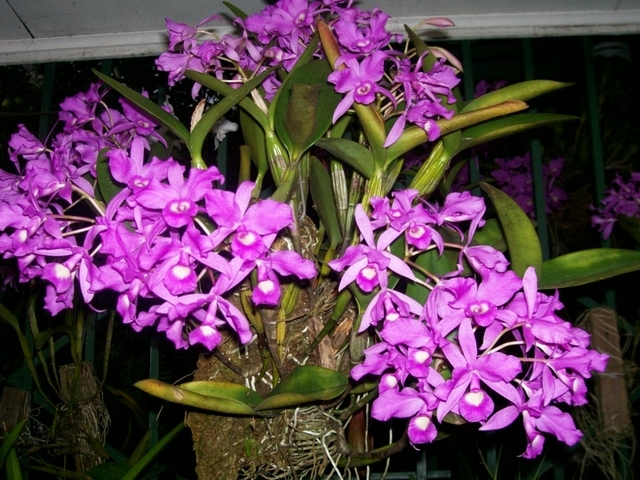 The national flower of Costa Rica, the guaria morada, is a common orchid found on the tropical land. The lovely flower was so beloved by the people of Costa Rica that is became the national flower of this country. 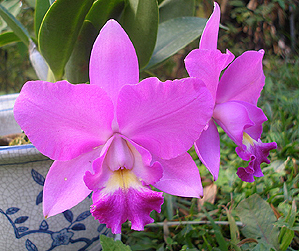 The purple orchid, the common name of the state flower of Costa Rica, became the national flower on June 15, 1939. The people of Costa Rica enjoy the myriad of flowers on their homeland and make those flowers into decorations, gifts and the centerpieces of celebrations. As common as the purple orchid is in the country, it is often a part of floral arrangements and deliveries. Costa Rica was once an orchid playground, but the large flowers that grew naturally on this land began to disappear until it was rare to see the national flower of Costa Rica growing in the wild. Recent efforts have reintroduced the orchids to their native homes and the purple orchids are once again flourishing in the protected parks and natural areas. In 1990, Costa Rica introduced a department of wildlife conservation in response to the growing concerns of the public that the once dense landscape was being destroyed to accommodate cash crops. The purple orchid is a bright pink or purple flower with the delicate petals of an orchid. The purple orchid grows over trees, roofs and buildings throughout Costa Rica when cared for properly. The orchids use the buildings and trees as support, but get nutrients from the environment around them. The guaria morada is an essential part of Costa Rican folklore and legend as well. Growing orchids is tricky in the best of circumstances. The orchids tend to live only a few years if uprooted from their natural environment and the government of Costa Rica has turned to cloning and specialized training to help cultivate the purple orchid in the gardens of the city. 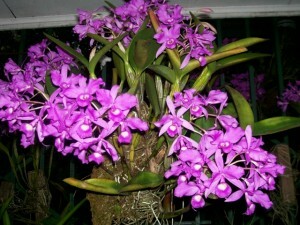 To grow the guaria morada at home, plan to buy the flower and be careful to avoid overwatering. Too much water is the most common way to destroy any orchid. This entry was posted on Monday, July 26th, 2010 at 8:30 pm	and is filed under National Flowers. You can follow any responses to this entry through the RSS 2.0 feed. six times you state Costa Rica is an island! have you ever been there? Just so that no one is confused by this article, Costa Rica is not an island. Thank you for catching the mistake and letting me know. The mistake has been made mechanically and is corrected now.